The first installment of The Gulag Archipelago was published on this date in 1973; when the third and final volume came out five years later, the late politics professor Harvey Fireside reviewed it in The Nation. The hunched, emaciated figure of Aleksander Solzhenitsyn peers out of this, the third and final installment of his epic chronicle of Soviet prison camps. In its frayed, baggy clothes with sewed-on identification tags, the author’s body in 1953 epitomized the cruelty of a political system that could convert millions of its subjects into disposable “waste products.” The most remarkable features of this portrait, however, are the sunken eyes, burning with hurt and bitterness, and the lips compressed in an expression of desperate defiance. The words borne out of that figure’s travail, eight years in camps designed to squeeze the life out of their inmates by cold, starvation and beatings, help us to understand the scars of the survivor. 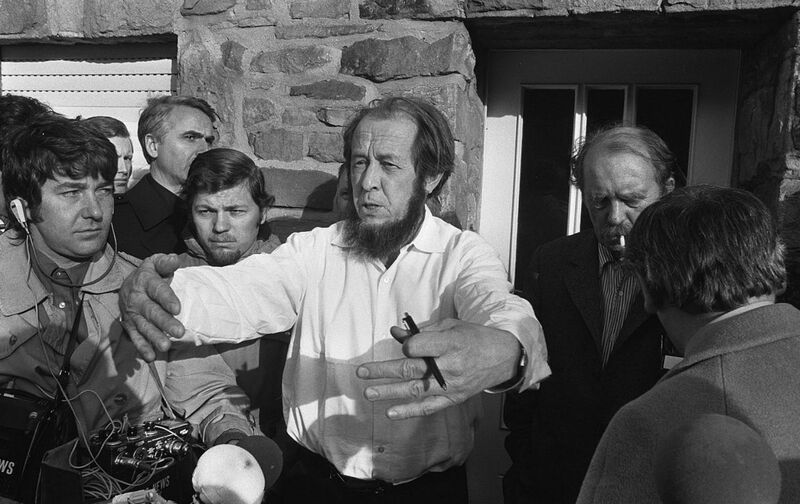 In Solzhenitsyn, an extraordinary will to live fused with an obsession to bear witness. He was driven to recount the martyrdom of his companions: the few who surpassed him in courage by their legendary attempts to escape, the others who overshadowed him in moral stature by the incandescence of their religious faith. Solzhenitsyn is a romantic figure standing alone. He intimidates his readers by the immense stretches of a narrative set, ironically, in the hyperbolic style of the “socialist realism” that dominates Soviet prose. He infuriates them by tangents and repetitions, by political homilies that hearken back to the faith of the Old Believers and the virtues of the soil. And yet he can command their respect for the single-minded and unfashionable and, perhaps, unachievable thrust of his mission.